1. Who is the player in the main picture, whose famous mate now bears his name? 2. Scotland, England and Wales have between them produced 46 playing Grandmasters. Of these, 43 are still alive. Name the three who are dead. 3. Who is the current British champion? 4. C H O’D Alexander was a leading British player of the 1930s, 1940s and 1950s. What were his forenames? 5. Born in 1965, a British player is the oldest in the world’s top 100, as at July 2018. What is his middle name? 6. The 2015 British champion. Who is he? 7. On 20 Aug 2018 he will have his 89th birthday. 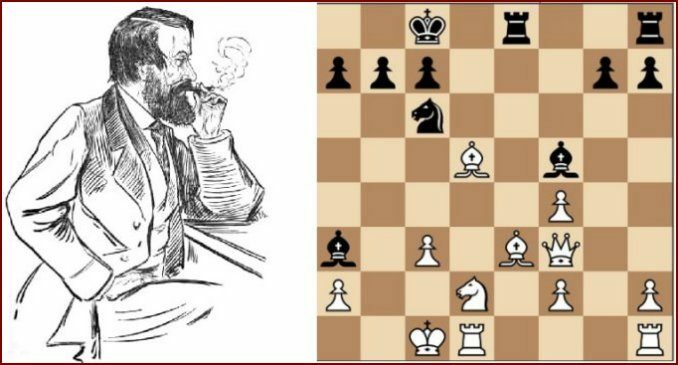 He has been the chess correspondent of a national newspaper for over 60 years. Who is he? 8. Which British GM won £250,000 on Who Wants to be a Millionaire? 9. Who are the current 4NCL champions? 10. 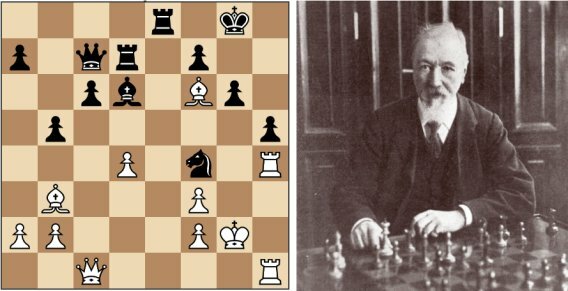 Jacques Schwarz was on the receiving end of this Q + R sacrifice by a leading 19th century British player. Who was he? 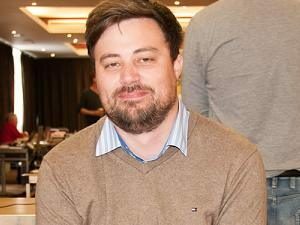 This is the website for Channel 67, the UK section of the Internet Chess Club. The site is a private venture, and was not commissioned by ICC; nor is it controlled by ICC. Any queries or comments: please message TheBishop or email tb@ch67.com. All contributions are welcome, so if you would like to write a blog entry or make any other contribution, then please email TheBishop.